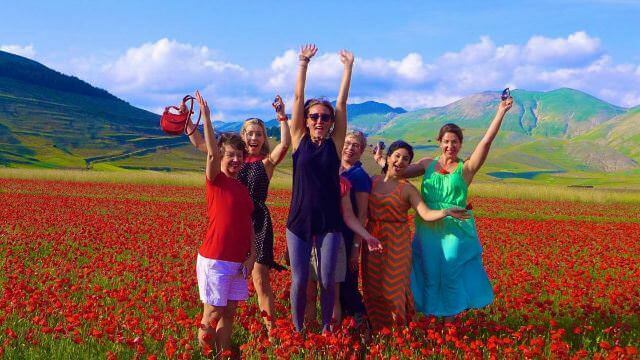 If you are in the least bit hesitant about joining a "tour group" to see Italy, think no more.... CDV will make you feel right at home with them. If you are in the least bit hesitant about joining a "tour group" to see Italy, think no more.... CDV (and Toni, Sophie and Rocky our "guides" ) will make you feel right at home with them. I highly suggest Norcia, this hidden gem, but be forewarned, you will be eating alot of (amazing) pork, cheese and truffles! Not to mention drinking great wines with it all. The chocolate class at the Perugina Chocolate Facotry was a blast and all my chocolates made it home in one piece...That was definatley a once in a lifetime experience. My hats off to Michael and Paola (and thier whole team, including Tiziano our awesome bus driver) for such a great company. I will be back! (thinking of Amalfi 2015, already having been there once and loved it so much!). Fino a quando ci incontreremo di nuovo!